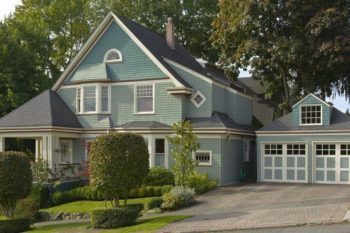 John’s Plumbing & Pumps provides comprehensive plumbing and septic services in South Hill, Washington. For over 60 years, we have been serving the Pierce County area. And by choosing us, you’re not only doing business with a local company, you’re supporting the local economy. As a family-owned company that’s been passed down through the generations, we have learned what it takes to be a great business, but how to raise the bar in our industry. Providing our plumbers with extensive formal training and on-the-job instruction backed by decades of experience means our team is ready to handle any plumbing issue. We bring our clients the best service for their money while upholding strict customer care standards. We look forward to helping you care for your plumbing system. 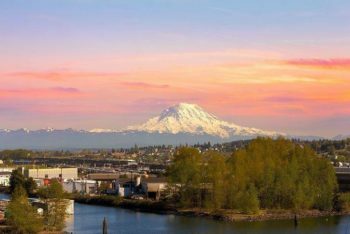 Over the years we’ve added more and more services to our wheelhouse and expanded our service area so we can be sure that Pierce County gets the best plumbing services possible. From septic tank installation to leak detection and repair, there isn’t much we don’t do. Our skills and equipment help us easily tackle big commercial plumbing jobs like water line installation, commercial appliance hookups, and emergency plumbing backup situations. We get it. The average person doesn’t give much thought to the virtues of a plumbing company. And when the time comes to call one, the options can be daunting and confusing. But, that’s why we do our best to present ourselves professionally, arrive to every job on time and with clearly marked vehicles and attire. When you need a plumbing company for your home, business, or rental property, choose John’s Plumbing & Pumps. Our service vehicles are stocked and ready. Each of our certified plumbers is experienced and well-prepared. We show up with everything we need to help, so you never have to wait for parts. Whenever possible, we utilize the latest technology to streamline non-invasive processes. John’s is committed to protecting public health by maintaining strict standards. Not only do we fix plumbing issues, our big-picture mission is to keep drinking water safe and properly distributed, maintain sanitary waste drainage, perform technical installations, and ensure appliances such as water heaters, refrigerators, and dishwashers run smoothly and safely. We are also trained to meet sustainability and environmental standards as dictated by federal and state governments and offer continuing education opportunities for our employees. Our team believes that by promoting high standards within our company, we attract the best talent and provide the best plumbing services for our clients. Talk to any of our plumbing technicians about how we raise the bar on plumbing service. We can dispatch a plumber to take care of your plumbing issue 24-hours a day. It’s important for us to know that residents can get help as soon as they need it. Call today for any concern you have. We’re ready!